If you’re like me, your kids have had their costumes for awhile. We love Halloween and just can’t wait. 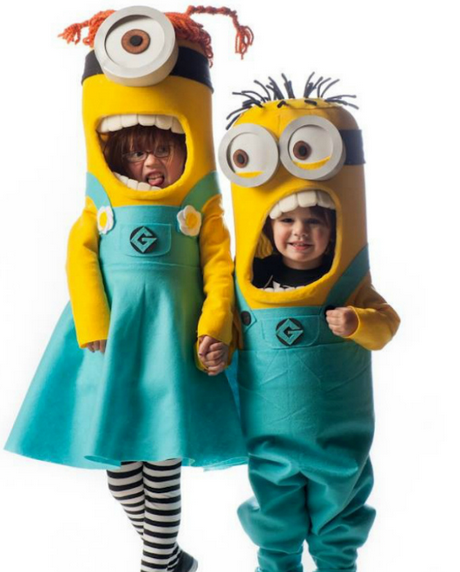 And also, I will admit that I rarely actually make my kids costumes (the horror!) I know, you would think that since I’m the creative DIY type, this would totally be something I would do. But for some reason, by the time Halloween rolls around, I am just way too busy to get around to making costumes. I have made or assembled costumes in the past, but each year I get a little bit lazier. 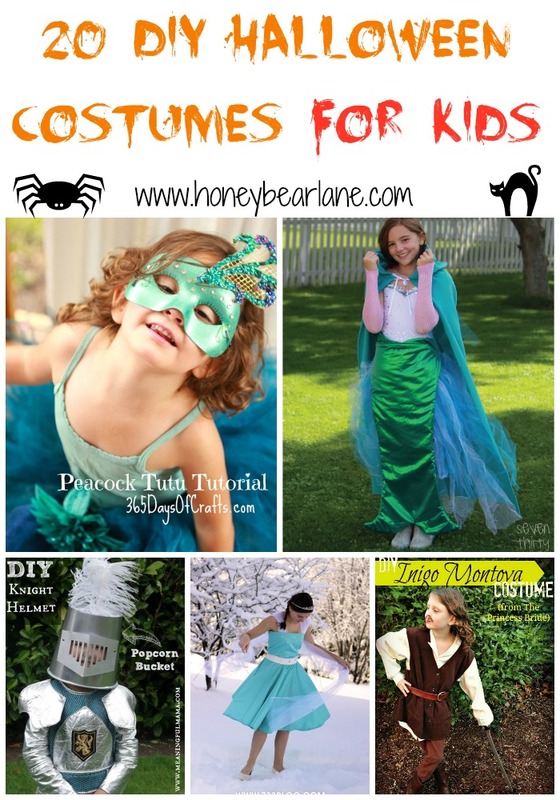 That being said, for those of you who DO make costumes–and I applaud you–here are 20 DIY Halloween costumes for kids to get your creative juices flowing. Since Halloween is only ten days away, hopefully you’ve started working on your kids’ costumes. But even if you haven’t, you could probably make most of these within ten days! So go to it! Thank you for sharing our Peacock Tutu Tutorial. What an awesome collection of costumes.